When Agents of SHIELD returns with Season 6 in the Summer, it will have a new director with Henry Simmons' Alphonso “Mack” Mackenzie answering the call. 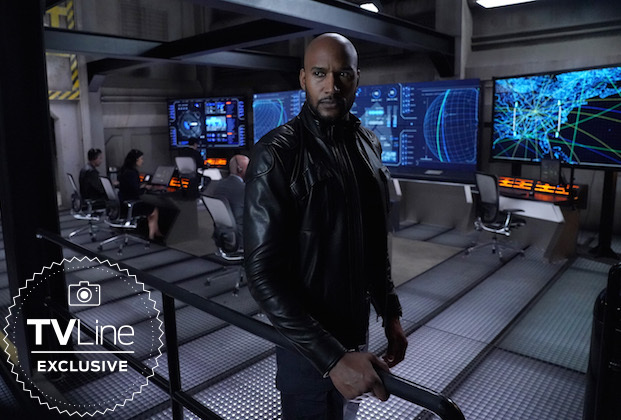 A first look at Mack as the new director of SHIELD has been released. Regarding Clark Gregg and Phil Coulson, the end of Season 5 saw Coulson seemingly about to die as he took one last trip to Tahiti with May. While it is unknown if Coulson will return, it is known that Clarg Gregg will be back to direct future episodes. Marvel TV and ABC have also announced that Agents of SHIELD will have a Season 7, with both Season 6 and Season 7 having 13 episodes each. Clark Gregg will also be appearing in the upcoming Marvel Studios Captain Marvel movie.